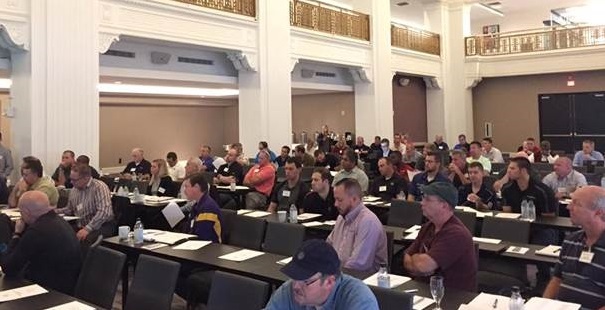 SMA’s Safety Committee and Plant Operations Division held concurrent meetings in Cincinnati, Ohio on October 13-14, 2016. The meeting included a tour of the nearby Byer Steel facility. Byer Steel President & CEO Burke Byer also provided keynote remarks during the awards luncheon. Highlights of the Safety Committee meeting included: a panel discussion on experiences with contractor management services; presentations on trailer fall protection, first responder/rescue team programs, ergonomic assessments, and silica sampling; and an overview of ISO 45001.